Does the Mitral annulus dilate with LA enlargement ? 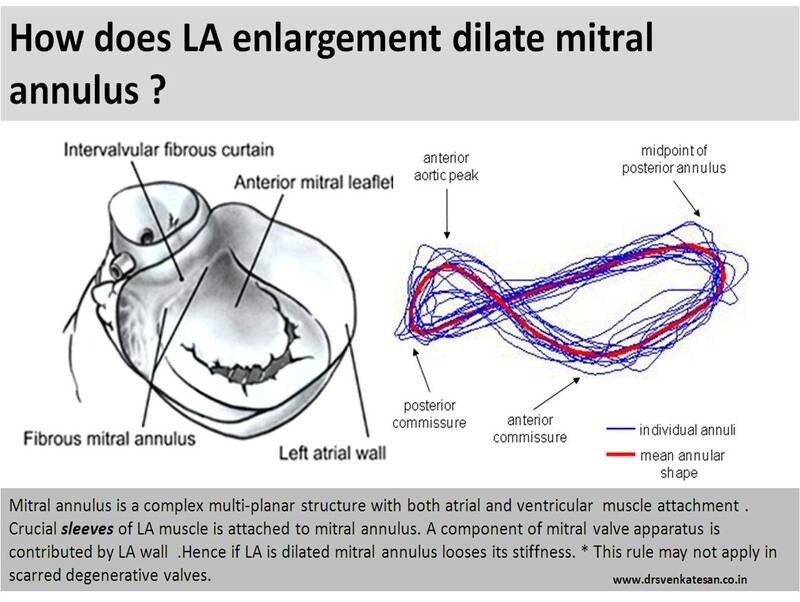 We traditionally believe LV enlargement results in dilatation of mitral annulus from below and result in functional MR.
A lesser known concept is , LA enlargement dilating the mitral annulus from above and cause MR ! Can atrial enlargement per se dilate mitral annulus ? We often find some degree of MR associated with chronic atrial fibrillation.What is the mechanism ?We also know MR begets MR.Is it because of progressive LV or LA enlargement ? When the literature is searched we have convincing proof that LA enlargement can lead to significant mitral annular dilatation and MR as well . 1.Gertz Z.M., Raina A., Saghy L.; Evidence of atrial functional mitral regurgitation due to atrial fibrillation: reversal with arrhythmia control. J Am Coll Cardiol. 58 2011:1474-1481. 2.Kihara T., Gillinov A.M., Takasaki K.; Mitral regurgitation associated with mitral annular dilation in patients with lone atrial fibrillation: an echocardiographic study. Echocardiography. 26 2009:885-889. 3.Tanimoto M., Pai R.G. 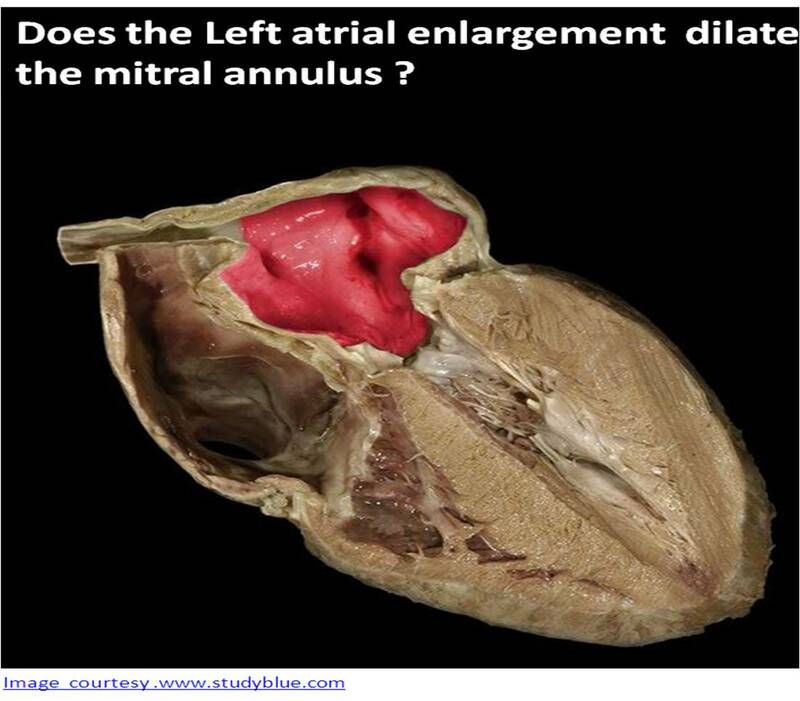 ; Effect of isolated left atrial enlargement on mitral annular size and valve competence. Am J Cardiol. 77 1996:769-774.